In my years working at PR agencies, I had no better training than the time I got personal coaching by local news anchor Angela Pace. She’s a legend in the Columbus, Ohio area. Even my dad knows who she is. My boss decided that a colleague and I needed help with our new business presenting skills. She was right. To be fair, presenting for new business is one of the toughest things that you can do. Those who’ve done it will understand. Those who have not probably won’t. They say that you cannot teach an old dog new tricks. Evidently, I am not yet an old dog, because I did learn some new tricks from Ms. Pace. I’m a decent public speaker, but under her tutelage, I kicked it up a notch. And laughed a lot, including at myself, in the process. Probably the biggest thing that I learned was not to take myself too seriously. Don’t assume that people want to dwell on all of those details. Don’t forget to bring your water. Then smile (yes, again). It’s true: The smiling is really not easy for a serious person like me. I have got to learn to be less serious! I feel very lucky to have experienced this individualized training. 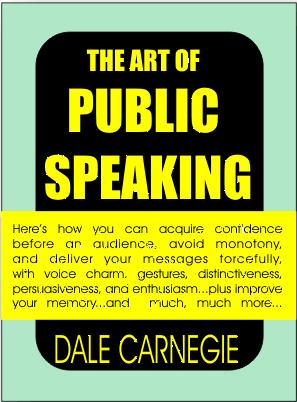 Most public speaking trainers apply a formulaic approach, but not so with Ms. Pace. She paid attention to every non-verbal, every nuance of what I said and how I said it. She was not shy to stop me mid-stream and make me start again. There was no escaping her. She noticed every detail. This was a good and bad thing! If you are in a career where public speaking, in small or large groups, is important, I’d highly recommend working with a coach who cares, knows the ropes and forces you to get outside the podium. It forced me to think differently about how I interface with people in my presentations–and it made a big difference in the end results. We landed two new deals right after our coaching, by the way!